We are glad to have Ravi Raman as this weeks guest speaker. 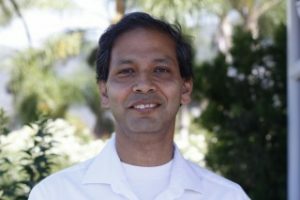 Ravi will talk about “A Scalable Blockchain Approach for Trusted Computation and Verifiable Simulation in Multi-Party Collaborations” this Friday, Nov 9th 3pm at CSL369. Abstract: If you were to receive a trained machine learning model or simulation output that was purportedly created using computationally-expensive open source code based on data that was also open, would you trust it? If the peer you received it from was known to cut corners sometimes because of resource constraints, would you trust it? In the absence of fully re-running the computation yourself, which could be prohibitive, you might not. And without such trust, and any unquantified notion of “reputation”, collaboration would be out of the question. In this talk we will consider the problem of establishing reliable, distributed trust guarantees in large-scale computational systems, by designing a scalable blockchain framework for a peer-to-peer network, with focus on transparency, accountability, and scientific reproducibility in social good applications. Bio: Ravi is a 5th year PhD candidate with the department of Electrical and Computer Engineering, working with Prof. Lav Varshney. Prior to this he received the B.Tech degree in Electrical Engineering and M.Tech degree in Communication Systems from the Indian Institute of Technology, Madras, India in 2009. 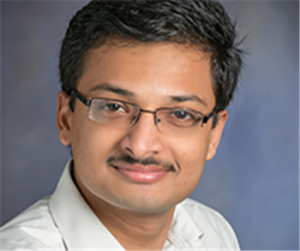 He is a recipient of the Joan and Lalit Bahl fellowship of the Department of Electrical and Computer Engineering for the academic years 2017–2019. He is also an IBM Science for Social Good Fellow of the class of 2018. His work spans applications of information-theoretic methods for the design and analysis of unsupervised learning algorithms and scalable blockchain systems. We , at CSL social hour organization, are happy to have Puoya Tabaghi as guest speaker. At this week’s social hour Puoya will talk about “Localization with Kinetic Euclidean Matrices”. Please join us this Friday, Nov. 2nd 3pm at CSL369 for social hour, and also refreshments. Bio: Puoya is a 3rd year PhD student in ECE department, advised by Dr. Dokmanic. He received the B.S. degree from Amirkabir University of Technology and the M.S. degree from Colorado State University, in 2014 and 2016 respectively. In his Master’s, he was working on mixture of factor models for joint dimensionality reduction and classification. Currently, he is working on kinetic distance geometry problems. He is mainly interested in statistical signal processing, control and learning theory. He enjoys hip-hop and is delighted by country music, follows MMA matches and cooking shows, dances as he aspires to be a bodybuilder. CSL social hour committee is glad to announce that we will be celebrating the graduate appreciation week this Friday, Oct. 26 at CSL369. We are also delighted to have Prof. John Hart, Executive Associate Dean of the Graduate College and Computer Science Professor as our guest speaker. 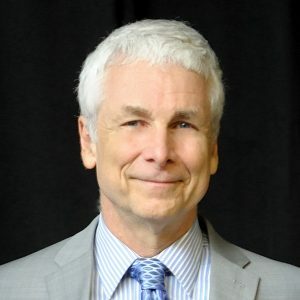 He has also served in the Computer Science department as Director of Graduate Studies and Area Chair of HCI, Graphics and Visualization, and for the College of Engineering as Chair of its Promotion and Tenure Committee and Vice-Chair (Dean is Chair) of its Executive Committee. He was also a Fellow of the 2017 Big 10 Academic Leadership Program. We are glad to host Prof. Madhow Upamanyu from UC Santa Barbara as guest speaker. At this week’s social hour, Prof. Upamanyu will talk about “ECE is Critical when Software Meets the Physical World” which is reflection of his personal experience in transitioning cutting edge signal processing ideas from the university into Uber. Please join us this Friday, Oct. 12th at 3pm in CSL369. Abstract: Companies such as Google, Facebook and Uber have scaled their footprint in the world through their expertise in deploying large-scale software. As this software interacts with the physical world, tightly integrating ECE expertise, especially in modeling and signal processing, is critical to success and safety. I will speculate on how one might overcome the cultural barriers in achieving such integration, after discussing my personal experience in transitioning cutting edge signal processing ideas from the university into Uber. Bio: Upamanyu Madhow is Distinguished Professor of Electrical and Computer Engineering at the University of California, Santa Barbara. His current research interests focus on next generation communication, sensing and inference infrastructures centered around millimeter wave systems, and on robust machine learning. He received his bachelor’s degree in electrical engineering from the Indian Institute of Technology, Kanpur, in 1985, and his Ph. D. degree in electrical engineering from the University of Illinois, Urbana-Champaign in 1990. 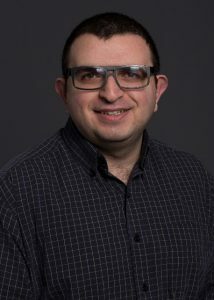 Dr. Madhow is a recipient of the 1996 NSF CAREER award, and co-recipient of the 2012 IEEE Marconi prize paper award in wireless communications. He is the author of two textbooks on communications published by Cambridge University Press. Prof. Madhow has also been closely involved in technology transfer of his research through several start-up companies. As many of you already know, in October, CSL holds one of its most anticipated events of the year, Allerton conference. Considering the great interest by both faculty and students to know more about Allerton conference, we have arranged for Prof. Bruce Hajek to give a talk at social hour this Friday, Sept. 21 at 3:00 PM in 369 CSL. Bio: Professor Bruce Hajek received a BS in mathematics and an MS in electrical engineering from the University of Illinois at Urbana-Champaign and a PhD in electrical engineering from the University of California at Berkeley. He has served as a faculty member in the Department of Electrical and Computer Engineering and a researcher in the Coordinated Science Laboratory at Illinois since 1979. He is a member of the Center for Advanced Study and holds the prestigious Hoeft Chair in Engineering. Prof. Hajek’s research interests include communication networks, auctions and mechanism design, stochastic analysis, optimization, control, and machine learning. He was a winner of the USA Mathematical Olympiad in 1973 and has received the Eckman Award of the American Automatic Control Council, a Guggenheim Fellowship, the IEEE Koji Kobayashi Computers and Communications Award, and the ACM Sigmetrics Achievement Award. He is a member of the National Academy of Engineering and a Fellow of the IEEE. We are glad to have Prof. Huang as social hour guest speaker this Friday, Sept 14th at 3:00PM in 369 CSL, In this week’s social hour Dr. Huang will talk about “Fast Parallel Programming with Complex Task Dependencies using Modern C++”. Abstract: Parallel programming is a key component in high-performance software. However, it is difficult to write a correct parallel program especially under complex task dependencies. In this talk, I am going to introduce Cpp-Taskflow – an open-source C++17 library to help you quickly write parallel programs with task dependency constraints. According to out user, “Cpp-Taskflow has the cleanest tasking API he has ever seen.” I believe you will be able to master Cpp-Taskflow within 5 min and use it right away to boost your research project. Bio: Dr. Huang is a Research Assistant Professor at CSL and ECE. His research focus on software systems and design automation. He won the 1st Place in ACM SIGDA CADathlon International Programming Contest (Olympic Game in EDA) and the 2nd Place in ACM Student Research Competition Grand Final (ACM Award Banquet). He also received the Graduate Award and Graduate Fellowship from the UIUC ECE department. Do you want to know where you can safely store all your research data, or have you ever wondered what you should do when your Matlab license doesn’t work. We are pleased to have Mark Hart as our guest speaker for this week’s social hour on Friday, Sept 7 at 3:00PM in 369 CSL. Mark will tell us about wide variety of services provided by Engineering IT, to help both graduate student as well as faculty have better research experience. 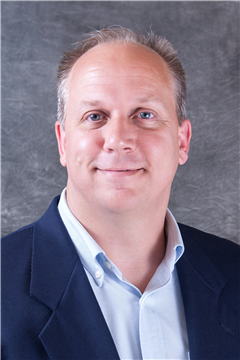 Bio: Mark Hart has been an IT Professional at Illinois since 2004. In his career, he has worked in areas ranging from healthcare to network security, and this has led him to his current role as Research Technology Facilitator (RTF) for Engineering IT Shared Services. 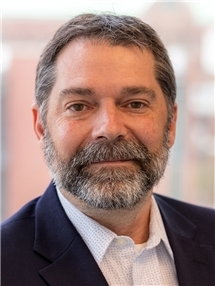 As RTF, Mark serves as an advocate for faculty and researchers, connecting them to the resources they need and helping ensure those researchers have a voice in shaping the services they use. In his role as RTF, Mark has been working with Klara Nahrstedt’s 4CeeD project team, as well as collaborating with NCSA on research computation services. Mark is currently pursuing a masters degree in Information Science with an emphasis on data curation and information management. The CSL administrative leadership welcomes students, postdocs and faculty to the new academic year 2018-2019. During the first Social Hour of the semester on Friday, August, 31 at 3:00PM in 301 CSL, Dr. Klara Nahrstedt, the director of CSL, Karen Cromwell, CSL associate director for administration, and Dr. Normand Paquin, associate director for research, will discuss (a) CSL organization and facts about CSL, (b) ‘who is who’ in CSL you can get help from, (c) CSL upcoming events in Fall 2018 and (d) CSL research activities in CSL. Come and join us get useful CSL information, fun facts and nice refreshments. 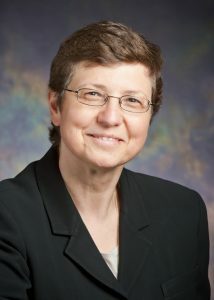 Bio: Klara Nahrstedt is the Ralph and Catherine Fisher Full Professor at University of Illinois at Urbana-Champaign, Computer Science Department, and the Director of Coordinated Science Laboratory at University of Illinois, Urbana-Champaign. Klara Nahrstedt received her BA in mathematics from Humboldt University, Berlin, in 1984, and M.Sc. degree in numerical analysis from the same university in 1985. She was a research scientist in the Institute for Informatik in Berlin until 1990. In 1995 she received her PhD from the University of Pennsylvania in the Department of Computer and Information Science. She is the ACM Fellow, IEEE Fellow, and the Member of Leopoldina German National Academy of Sciences. Join the Social Hour to learn about the people of the administrative infrastructure with whom CSL students, postdocs and faculty interact with and get emails from, and about the CSL place CSL members will spend many hours during the upcoming academic year. And most importantly come, and enjoy food and company of CSL peers, staff and faculty. We have reached the last social hour of semester and we, the social hour committee, are happy to have a special guest for this week’s social hour. Our guest, is no stranger to social hour and its organization, since he was in charge of some of the best social hours during 2016-2017 academic years. This week, we are glad to have Mayank Baranwal as guest this Friday, April 20th at 3:00PM in 369 CSL, to tell us about his work at CSL. 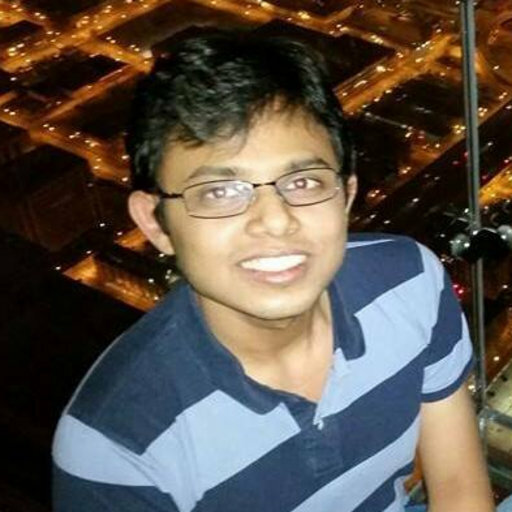 Bio: Mayank is a graduate student in Prof. Vasu Salapaka’s research group. 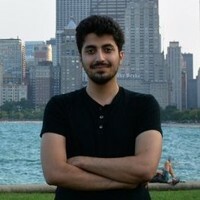 He obtained his Bachelor’s in Mechanical Engineering at the Indian Institute of Technology, Kanpur in 2011, and Master’s in Mechanical Engineering and Mathematics in 2014 and 2015, respectively, both at UIUC. His research interests are in combinatorial optimization problems, and application of robust control to microgrids. Mayank is an ardent Cricket fan and enjoys watching and playing Cricket. He also dabbles in painting. If you are a chai fanatic, feel free to stop by his office for a friendly conversation on politics, cricket or any other topic of your interest over a nice, warm cup of desi chai. We are glad to have Charbel Sakr as social hour guest speaker this Friday, April 13th at 3:00PM in 369 CSL, In this week’s social hour Charbel will talk about “Reduced Precision Machine Learning“. Abstract: Machine learning models such as deep neural networks are starting to achieve human level accuracy in many cognitive tasks. However, such successes often overshadow the tremendous complexity of typical deep learning models. In this talk, we focus on numerical precision – a key parameter defining the complexity of neural networks. Bio: Charbel Sakr is a graduate student working in CSL with Professor Naresh Shanbhag. Charbel obtained his Engineering degree from the American University of Beirut in 2015 graduating with High Distinction. He then joined the University of Illinois where he is now a PhD candidate in the department of Electrical and Computer Engineering. 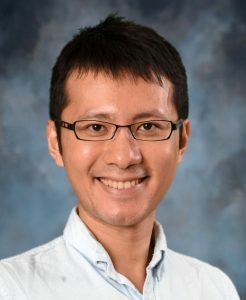 His research interests are in resource-constrained machine learning, with a focus on analysis and implementation of reduced precision algorithms and models. Charbel is also interested in fun facts and coincidences. For instance, he takes great joy in knowing that, should he ever have his own lab, its acronym would be CSL.